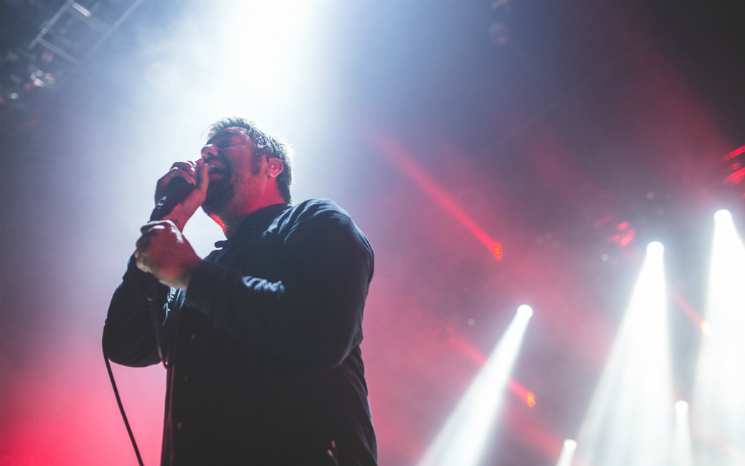 Deftones fans, rejoice — frontman Chino Moreno has just dropped a new solo track. The song is called "Brief Exchange," and can be streamed now. Despite its title, the track weighs in at a meaty four minutes and 45 seconds. It certainly explores plenty of the sonic territory that fans of Moreno have become accustomed to. On the song, Moreno is joined by Dillinger Escape Plan's Gil Sharone alongside Mike Elizondo and Tyler Bates. "Brief Exchange" appears on the soundtrack companion to DC Entertainment's new graphic novel Dark Knights: Metal: Deluxe Edition.